Two adults, two kids and two dogs. 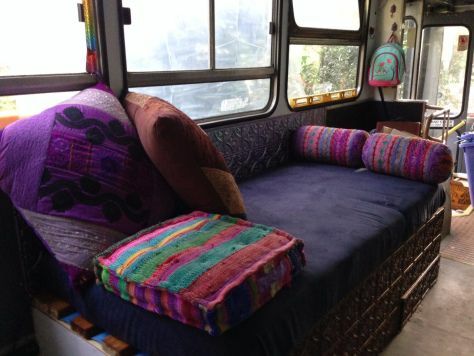 Not exactly the living arrangements one would expect to find on a converted bus, but these crafty Aussies seem to be making it work. Hailing from the Yarra Ranges, just outside of Melbourne, Tracie and Brad are two sustainability workers who decided they needed to start practicing what they preach. 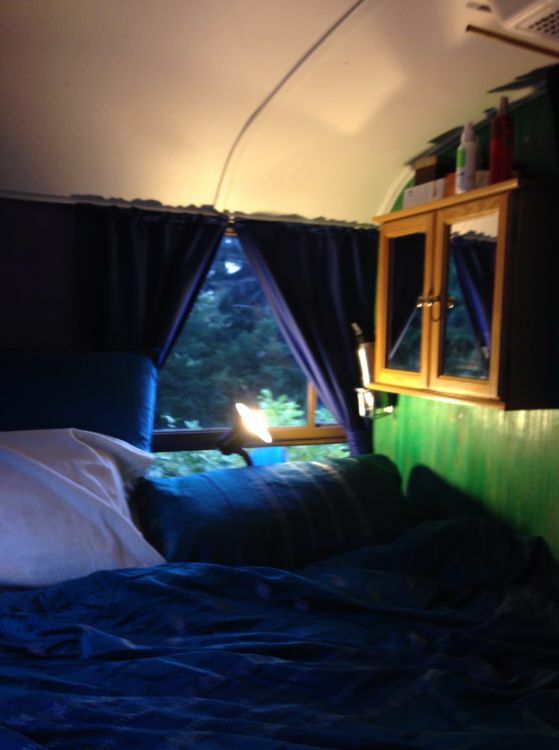 Tiny living just seemed to be the perfect progression for the couple and their family. 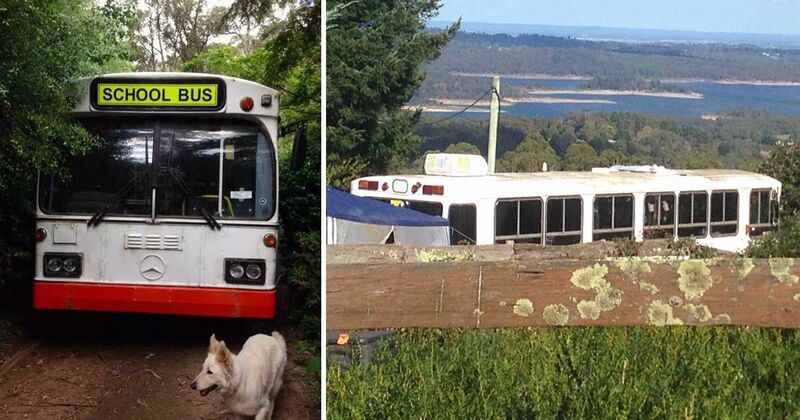 Cue the purchase of a 1979 Mercedes Benz school bus, add a bit of clever financial planning, and the mobile home dream was ready to become a reality. 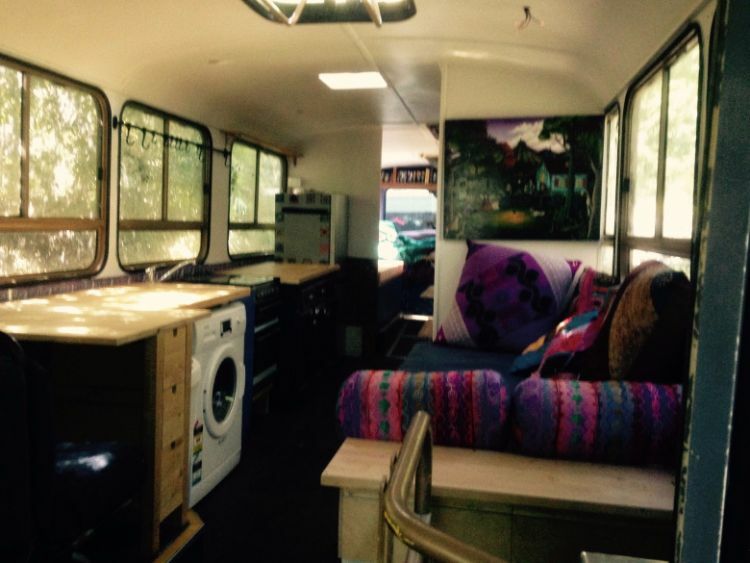 The family began their conversion project at the end of 2014, completing and moving into the bus February this year. 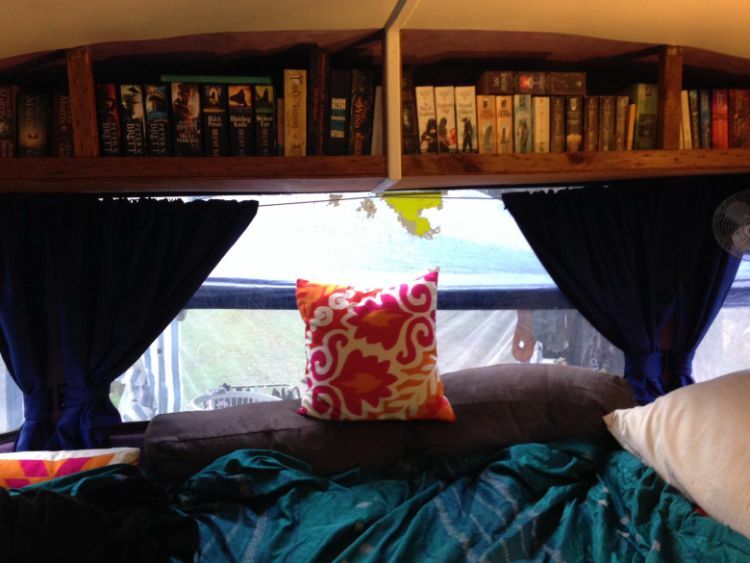 Their wheeled companion, Ms. Beauregard the Bus, is now ready to be toured by smaller living enthusiasts. So, let's get right to it! But a closer look will show you this bus is full of surprises. Tracie and Brad decided to ditch the old doors, replacing them with this classic solid cedar addition. Heat retention was a key motivator in their decision, but they also did this to prevent one of their dogs from venturing into the woods in the middle of the night. Gotta take all members of the family into account, after all. Inner beauty shines through the Ms. Beauregard. There's something so soothing about these interiors. Maybe it's the cool navy and purple hues that bring about a sense of serenity. The couch can double up as a bed for visitors, and is spacious enough to fit the family of four whenever they feel like having a movie night (not so sure about the dogs on this one, though). 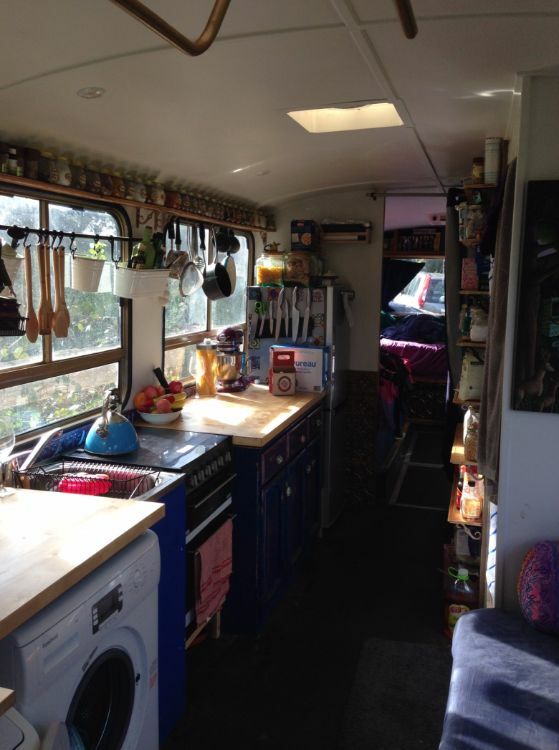 Here is a better view of the kitchen, with all its essentials unpacked and ready for use. Look at all those spice jars! 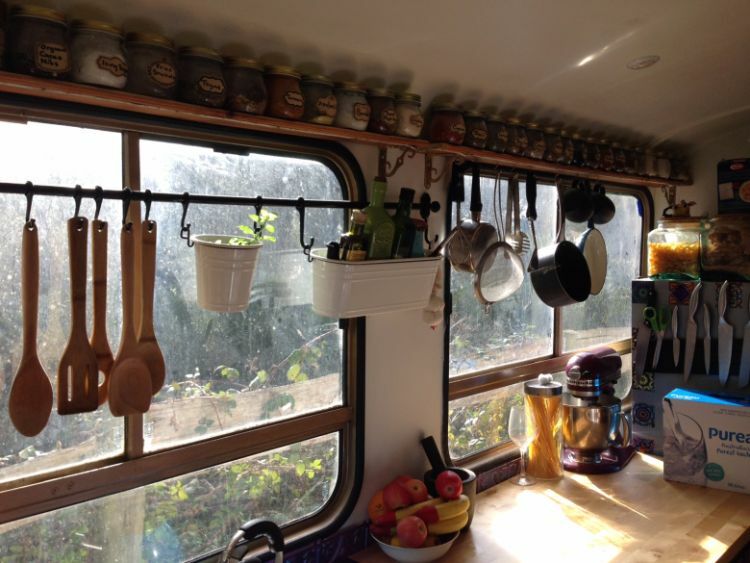 Tracie says that she would need to pack them, and the hanging utensils, away when the family hits the road - but it's still pretty amazing that they managed to include so much in a converted bus kitchen! This is the bathroom, pre-installation. 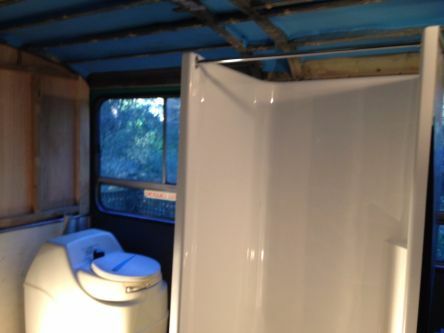 While we don't have a picture of the complete bathroom to show, Ms. Beauregard the Bus has its own full-size shower and a composting toilet. These are located right next to that couch you saw a couple of pictures ago. 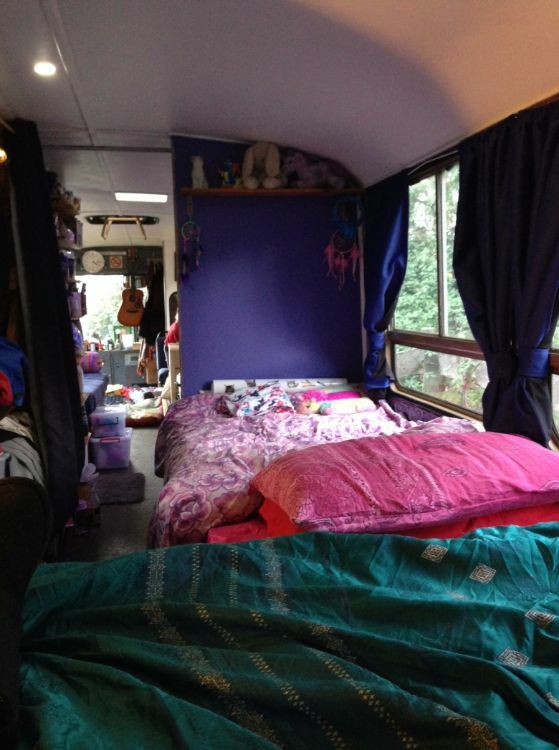 Now we get to the back of the bus, where each bed has been placed. 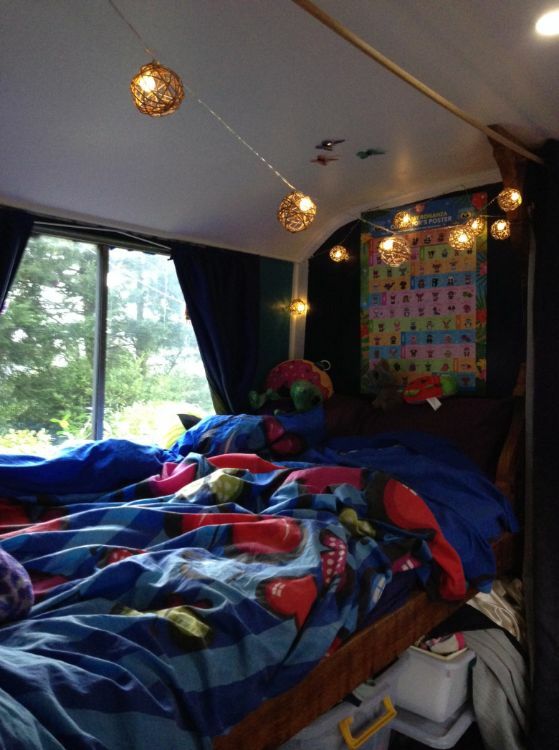 This is one of the kids' sleeping spots. And that's the other. Those pods under the bed are used to store the family's clothing. The daughters have single beds, while the parents sleep in a queen sized one. A nifty medicine cabinet has been installed on the wall that separates this bedroom from the others. To conclude this tour, another gracious use of storage. Any self-confessed bookworm will agree that a bookshelf like this is the ideal bedtime companion. 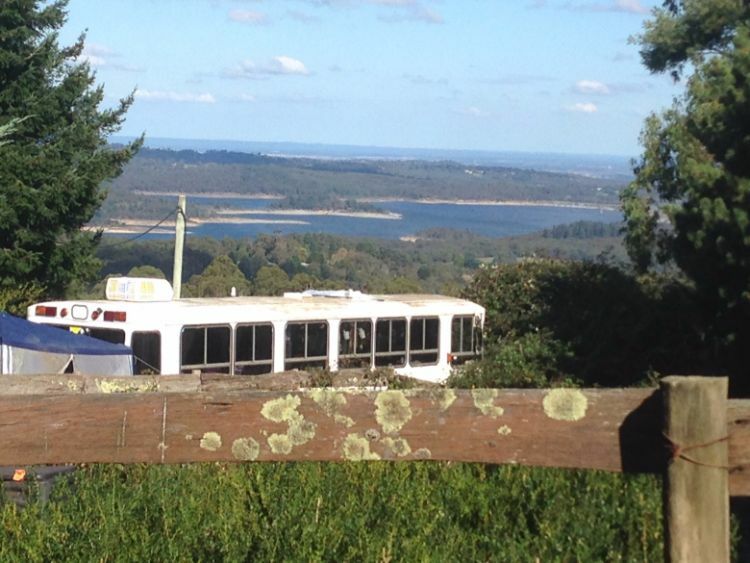 Ms. Beauregard the Bus is an Australian tiny living beauty. 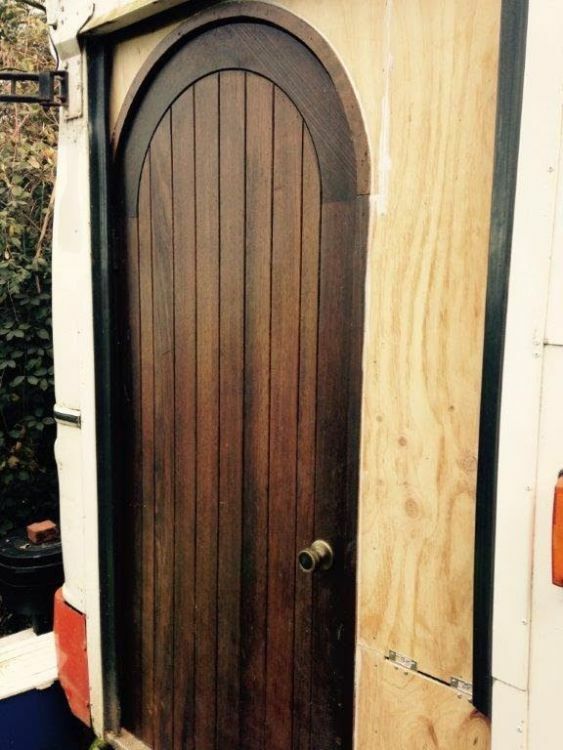 Even if there are still a few finishing touches to do, this conversion is certainly commendable for its artistic renditions, incredible use of storage and all-round homely vibes.